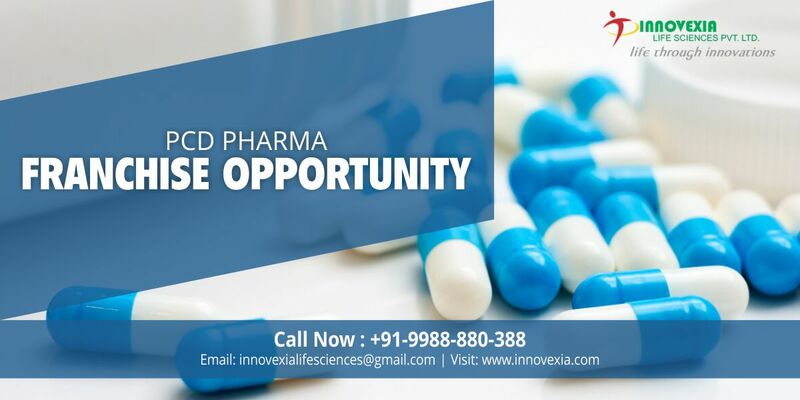 Join hands with Innovrxia Life Sciences and get the opportunity to run your business successfully in the pharmaceutical sector. For growing pharmaceutical franchise in Punjab, it is important that you choose the right and top PCD Pharma Franchise Company to invest your money in order to get the good return on investment. A Chandigarh-based company & led by Mr. Sandeep Khajuria, who is the mentor and promoter of Innovexia Life Science have been greatly developed into an established Pharma Company since its inception in 2011, we have come a long way touching many lives with the help of our affordable and qualitative products which are a pride of our company. Our team of experts includes various departments with best experienced & highly skilled professionals especially the Research & Development Department which has helped us attain a good products list which is DCGI approved. We have our own GMP-WHO certified units and plants which fully air-conditioned. Our warehouses are well connected and built in different parts of the states for your convenience. All our products are DCGI approved and have gone through strict purity and quality control measures. The list of approved by FDA and FSSAI which makes our quality non-questionable. Our units and warehouses have are well ventilated and air-conditioned for good preservation and hygiene is at the top of our priority list. The latest and high tech machines and equipment have been installed for better output and improved quality. Do you have the experience and knowledge in Pharma sales? Looking for the best business deal in your life? If you have the knowledge and are looking for a good deal in life, then Innovexia Life Science brings forth best PCD pharma franchise for you. Get your very own business in the pharma industry and get the chance to grow well in this industry. Pharma Franchise can provide good growth to your business as it is a growing stage. Confused as to why go for Pharma Franchise Business? We give the reasons. Less investment: Setting up a whole new business needs huge investments and capital formation to kickstart the business which is difficult. Pharma PCD franchise whereas needs less investment. More profits on saving: You spend less, you save more. Minimized expenditure leads to greater profits which make PCD franchise a great offer to go with. Support from a reputed company: Pharma franchise gives you the beneficiary of working under the guidance and support of pharmacy companies who operate on large scales. They provide medical products, marketing aids & gifts etc all the year around to help you grow. Punjab is a state which is known majorly for its rich lifestyle and fertility, the state is situated in the north of Republic India. This state is an ideal place for you to start your business. One of the high-density states, the region has a stable economy and has great potential to work as a golden opportunity maker for you and your successful career. Here are some districts where we are offering business opportunities- Amritsar, Bhatinda, Moga, Patiala, Jalandhar, Ludhiana etc. Punjab has a Gross Development Product of 3.17 lakh crore, which makes it a great place for investment with a good return on investment. It holds a huge population which is majorly educated towards the need of medical importance; it is a good place to start the business. The growing consciousness & awareness about the pharmaceuticals has led to the increased flow of quality pharmacists which shows a great future ahead. We have a good connection, outsourcing & consolidation with good universities & colleges who will help support you. Neighbored by states like Haryana, Himachal Pradesh, Rajasthan, Punjab is emerging as an important health center with people arriving from nearby districts and cities to avail the health facilities which are improving constantly. Check the eligibility criteria to become our eligible members. For starting any business is important to all about its required documentation. Get to be our member of PCD Pharmacy Franchise in Punjab by fulfilling the following eligibility criteria that you must follow to get the PCD Pharma Franchise business. Minimum 3-5 lakhs of investment. A valid Drug License No. (D.L.) Number and Tax Identification Number (TIN). A network of 5-6 good practicing doctors is needed.